But by the minute? Well, that's relatively new. And getting to use a luxury hotel room for just enough time to do what you need to do and get on with your business—that's a treat that's only just now available, thanks to a new app called Recharge. An investment of JetBlue’s tech incubator, JetBlue Technology Ventures, Recharge Labs Inc. officially launched in 2015 in San Francisco. 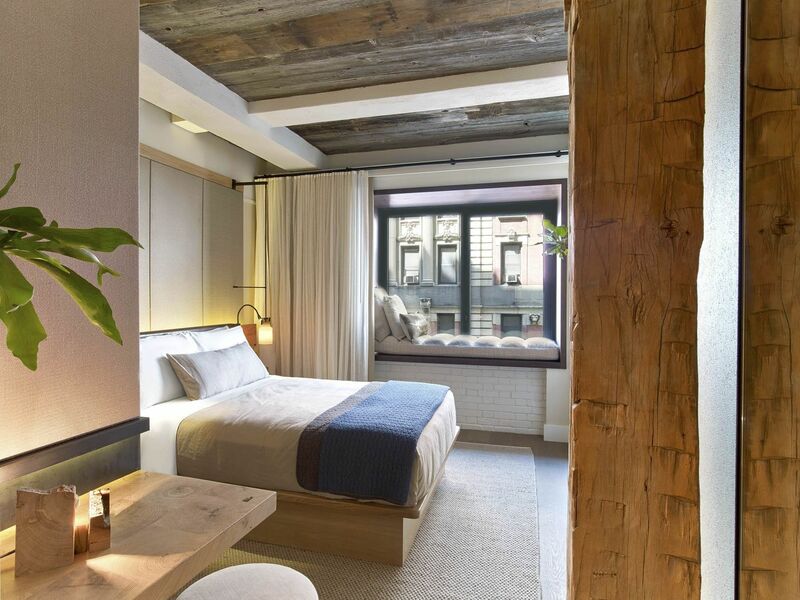 It expands to New York on April 24 with 16 luxury properties that range from the hipster-friendly Arlo, located in Hudson Square near the Financial District, to ritzy midtown five-stars such as the Quin and the Pierre. 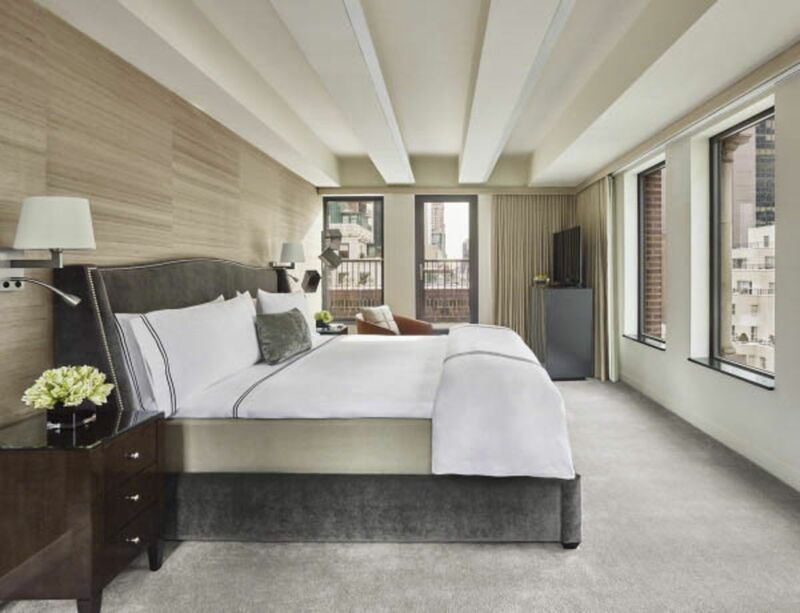 Prices in New York range from $0.83 to $2 per minute (plus 14.75 percent lodging tax). Let's say your priority is getting some rest; that means you’ll pay from $20 to $46 for a 20-minute power nap, $57 to $128 for a 60-minute snooze-and-shower, and $85 to $207 for a 90-minute stay in which you can catch up on email. Short-term hotel rooms are good for plenty more than just romance and napping. You can use them as quiet spots with Wi-Fi to crank out work on deadline, places to quickly shower and change as you shift from daytime to evening meetings, or as refuges to rest up in after redeye flights. According to Chief Executive Officer and founder Manny Bamfo of Recharge Labs, they’re a great option for long-distance commuters and families, as well. “We’ve been most surprised to see how useful it is for nursing mothers,” he said. 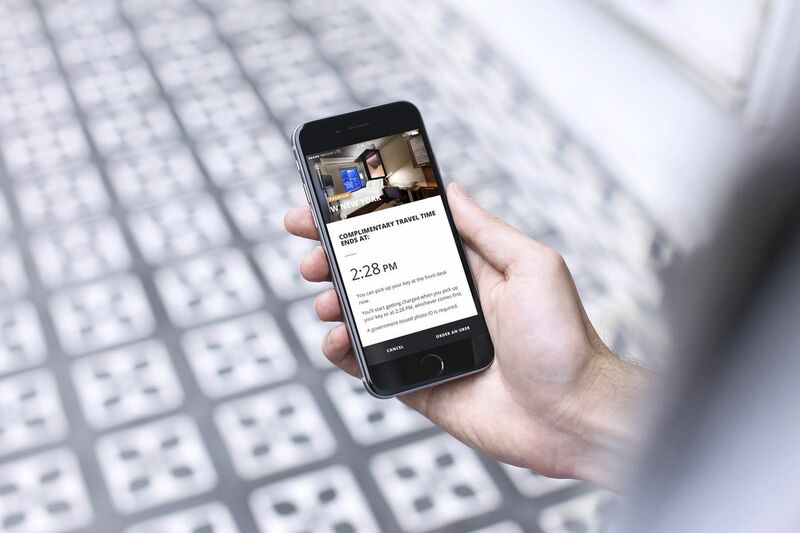 Recharge isn’t the first app to try to tackle the short-term room-rental market. It has competitors in Dayuse.com and Hotelsbyday.com, both of which run as websites and apps to serve many more cities, from Dubai to London to yes, Manhattan. The difference? The two generally aim at a less-expensive range of hotels and offer only predetermined morning or afternoon time slots. “Our two fixations are luxury and consumer control,” said Bamfo, who thinks of Starbucks Corp.—not Dayuse or Hotelsbyday—as his main competitor. It’s the easiest place to visit among daily obligations, he claimed, whether you want to be productive or rest—and regardless of how much time you have to spare. His trusty analogy: “Imagine if you could only park your car for 24 hours, and that was just the only option. All we’ve done is put a parking meter on some of the greatest hotels in the world and allowed travelers to decide on their clock when to come in and come out.” A luxury hotel has a bed, bath, and shower, he added. Starbucks has none. What's in It for Hotels? You'd think cleaning the bathrooms and changing the sheets multiple times a day might make it hard to break even on quick, relatively low-cost stays. But that's not so. Hoteliers win big, too. In fact, a majority of Recharge hotels in San Francisco are turning six-figure annual profits based on by-the-minute reservations; some are poised to break seven figures soon. Hoteliers are warming up to the idea quickly. "Measuring the hotel by vacancy, as opposed to occupancy, is a futuristic way to look at hotel metrics,” said Barry Sternlicht, the veteran hospitality guru behind 1hotels.com. “If locals eliminate vacant space in hotels, this is something to evaluate. The initial results are encouraging." Are hoteliers worried about the lewd associations of by-the-minute reservations? Not particularly. 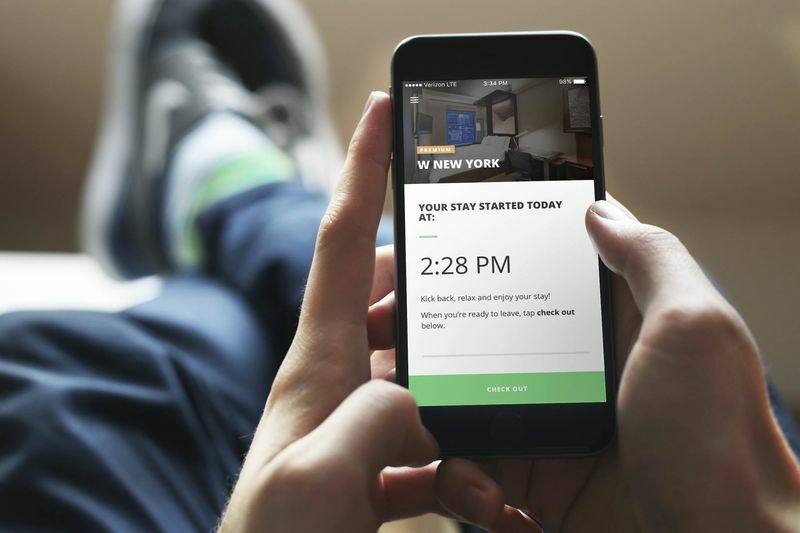 Stephen Brandman, CEO of Journal Hotels, whose Hotel G is available on the app for quick stays, said quickies aren't a use he's seen embraced by Recharge guests. In his experience, “Recharge caters to the local community and redeye fliers who are not in need of a full night’s stay, and it’s an opportunity to embrace people who aren’t the traditional customer while increasing foot traffic in the hotel,” he said. Bamfo talks about hotels “coming soon” in cities from Chicago to Los Angeles, but he’s evasive as to which cities might launch next. His expansion plans are guided by data, he said; customer requests and feedback drive his expansion targets, and he’ll need strong geographic diversity to officially launch in any market. “We look at where demand is, and we go deep,” he said. Recharge may be growing slowly and steadily, but Bamfo sees a big future. Already the app has a high rate of repeat customers, at 75 percent; some users rent short-term rooms multiple times per week, or even per day. “We could be one of the biggest companies ever,” he said boldly, with no shred of self-doubt. That's unabashed big talk. He could be one of the biggest disruptors in the hotel space, though. With long-term revenue projections looking stagnant for the hospitality industry, Recharge will help luxury properties squeeze value out of assets they've been looking to better utilize. "Hoteliers have been struggling to answer the question, what can we do to improve rev par? What can we do to grow faster?" said Bamfo. "And there's certainly money to be made right here."